Distribution Network Operators (DNOS) deliver electricity to homes, businesses, and industrial users. What Role Do Distribution Network Operators Play? 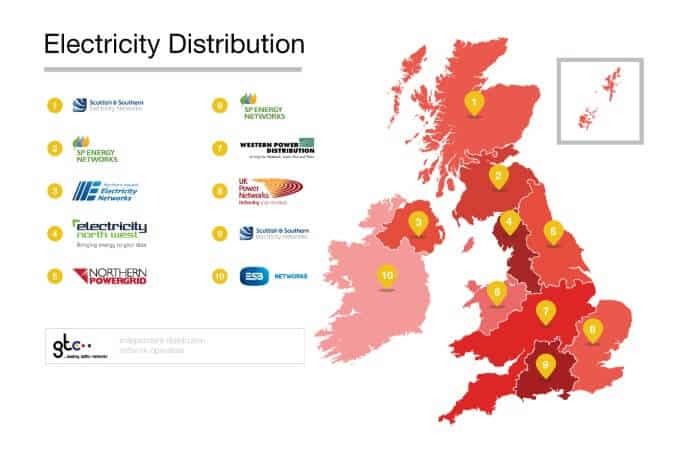 The Distribution Network Operators (DNOs) are companies that run the regional electricity distribution networks that connect the high voltage transmission grid operated by the National Grid to homes, businesses, and industrial electricity users. These local networks are responsible for the wires and equipment that distribute the electricity to the end users. The DNOs are responsible for responding to any reports of damaged cables/equipment and power cuts and rectifying the problem. All other new connections are handled by the National Grid. For all the above the DNO will work with or inform the National Grid where necessary about these developments or connections. If you do not know who your DNO is you can find out who it is on the Energy Networks Association website and search by postcode. There are also a number of Independent Distribution Network Operators (IDNOs) who operate on the electricity distribution network. IDNOs are similar to DNOs but they operate in much smaller networks within the DNO areas and are often an extension to the existing DNO network where new developments have or are being built like new housing estates or commercial development sites. The IDNOs have to obtain a licence to operate and are subject to the same regulations as the DNOs except their licence has fewer conditions on it. Ofgem regulates the IDNOs and monitors the amount that they can charge customers in line with the DNO charge level. 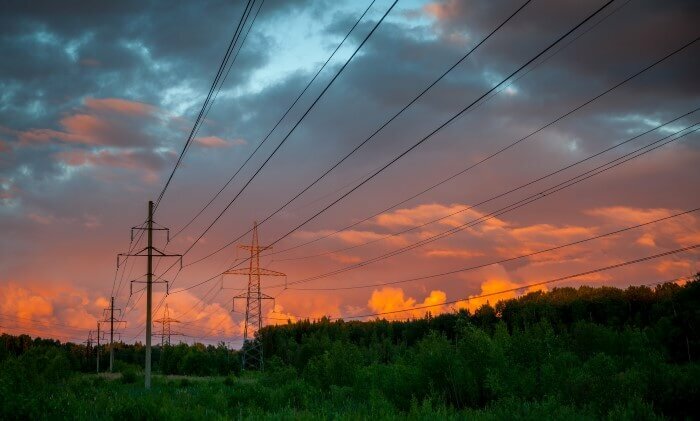 How Does the National Grid differ to the DNOs? The National Grid is a transmission network that operates at high voltage to carry electricity around the country from the generation sources (where these are large power stations) to the DNOs. The grid is formed of transmission pylons and wires that are located across the country most commonly near motorways and in open green spaces. The electricity transmitted through the National Grid is not suitable for general use as it is at a much higher voltage and it needs to go through a step-down transformer on the local distribution network to reduce the voltage. The electricity is transmitted at the high voltage to reduce resistance and loss of electricity when transporting it throughout the country. The DNOs role is to take electricity from the National Grid when needed and convert it into lower volt electricity and distribute through the local networks to homes, businesses, and industrial users. Before 1948 the UK energy market was made up of hundreds of small companies and local authority who generated energy and distributed it within a small area. In 1947, the Electric Act was passed to nationalise all these energy companies and to form a countrywide network of government-owned energy generation, distribution, and supply. This enabled the government to regulate and manage the growth of the market and ensure all areas of the country had access to electricity. In 1990, the energy industry was significantly altered again when the government privatised the UK energy market. This saw the assets and operations split up largely on a geographical or operational basis. The energy distribution and supply was carved into geographical operational areas and the grid itself was maintained as a national business. In the years after 1990, a lot of the DNOs have been changed hands and names many times and some have merged with some of the other original DNOs to form larger areas. Many of the DNOs have been sold off and operate separately from the supply businesses, and others are run as separate entities by energy suppliers in cases of Scottish and Southern Electricity Networks and Scottish Power Networks. Great Britain is now operated as eight regions instead of 14 by six DNO businesses. DNOs receive their income from the energy suppliers who re-charge this cost to their electricity customers. The charge normally equates to approximately 15% of the energy bill and covers the cost of the DNO operating and maintaining the electricity distribution network infrastructure. The DNOs charging structure is subject to price control regulations by Ofgem as they operate in a monopoly. Price reviews are conducted and these stipulate how much investment the DNOs can make in their network and the income they can collect. These prices are then fixed for an eight year period. Often the reason why energy suppliers have regional variations of their energy tariff rates are due to the local cost associated with the DNOs. DNOs by the nature of them operating geographically there is a monopoly except for new connections who can choose an IDNO instead but they would still connect to a DNO. Ofgem regulates the DNO through licences and ensures that these monopolies do not abuse their powers and that operate within their licence agreements. These licences contain conditions including the amount of revenue they can generate from their customers. The DNOs have to comply with the Electricity Act and have to endear to D Code and G Code. There are several bodies and standards that they need to conform with including the Electricity Connections Steering Group and the Electricity Safety, Quality and Continuity Regulations. There is an association for all the DNOs which is called the Energy Networks Association, who represent the gas and electricity transmission and distribution network operators interests in the wider industry. The Energy Networks Association also provides assistance to customers about how the energy networks operate, how to find your local DNO and what to do in the event of a fault or power cut. The Energy Networks Association also has a role to play planning the country’s future energy plan and tackling the challenges that the UK faces with its ageing distribution network and changing energy generation mix. If you need to report a power cut or damage to the electricity network, such as a cable strike, vandalism, cables down, or other dangerous incidents, you should contact the DNO for your local area. You can also call 105 if you are not certain of which operator to call or you can visit the power cut website. DNOs work with the energy suppliers to keep a Priority Services Register so that they are able to identify vulnerable customers who require additional support. These customers who are on the Priority Services Register may receive additional support during a power cut. To find your DNO visit the Energy Networks Association website. In the event of a power cut contact 105 or visit the power cut website. To learn more about your supplier have a look at: Who Supplies My Gas and Electricity?